J Int Soc Sports Nutr 2018, 15:38. Capsaicinoids supplementation decreases percent body fat and fat mass: adjustment using covariates in a post hoc analysis. J Nutr Metab 2018, 2018:7625981. Eur J Nutr 2018, 57:929. Probiotic Bacillus coagulans GBI-30, 6086 Improves Protein Absorption and Utilization. Probiotics Antimicrob Proteins 2017, Dec 1 [Epub ahead of print]. 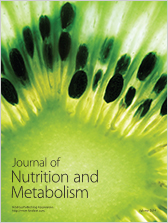 Effects of twelve weeks of capsaicinoid supplementation on body composition, appetite and self-reported caloric intake in overweight individuals. J Int Soc Sports Nutr 2017, 14:20. Oral Adenosine-5′-Triphosphate (ATP) Administration Increases Post-Exercise ATP Levels, Muscle Excitability and Athletic Performance Following a Repeated Sprint Bout. J Am Coll Nutr. 2017, 36(3):177-183. J Nutr Metab 2016, 2016:1089653.
International Society of Sports Nutrition Position Stand: Beta-Alanine. J Int Soc Sports Nutr 2015, 13:20. A Comparison of Blood Amino Acids Concentrations Following Ingestion of Rice and Whey Protein Isolate: A Double-Blind Crossover Study. J Nutr Health Sci 2014, 1(3):306. Nutr Metab (Lond). 2014 11:29. J Int Soc Sports Nutr 2014, 11:28. J Int Soc Sports Nutr 2014, 11:6. J Int Soc Sports Nutr 2012, 9:47. Amino Acids 2011, 40(5): 1169-1383. J Int Soc Sports Nutr 2010, 7:39.